We had reported a few days back that the first look poster of Superstar Rajinikanth’s magnum opus project 2.0 is planned for a November 20th release. Now we have some official confirmation from the makers of Enthiran 2 (2.0). Raju Mahalingam, the Creative Head of Lyca Productions took to his Twitter handle to confirm the first look poster release date of 2.0. 15 Heist/robbery movies that will steal your senses! Will Rajini act in another film before Dhanush-Ranjith project? Another milestone for Superstar Rajinikanth’s Kabali! Santhosh Narayanan or Anirudh, Who is scoring music for Rajini-Pa.Ranjith's next ? This page hosts a weekly slideshow related to Tamil movies. Each slide includes a picture and some description about that picture. All the slides will have a recurring theme. People looking for actress stills, actress images, actor stills, actor images, movie stills, movie images, and other interesting topics, relevant issues in Tamil cinema will find this page useful. 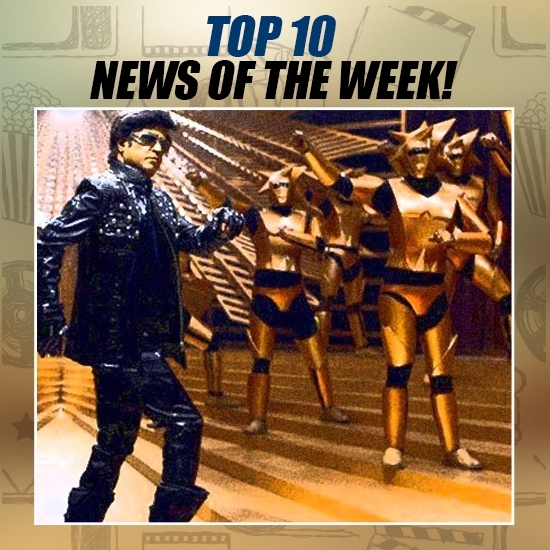 OFFICIAL RELEASE DATE OF 2.0 FIRST LOOK IS HERE | TOP 10 NEWS OF THE WEEK (Oct 9 - Oct 15).